Welcome to Debut Diaries- One Year On, where SCBWI-BI members share their highs (hopefully lots of these) and lows (hopefully less of these) of the post- publication year. 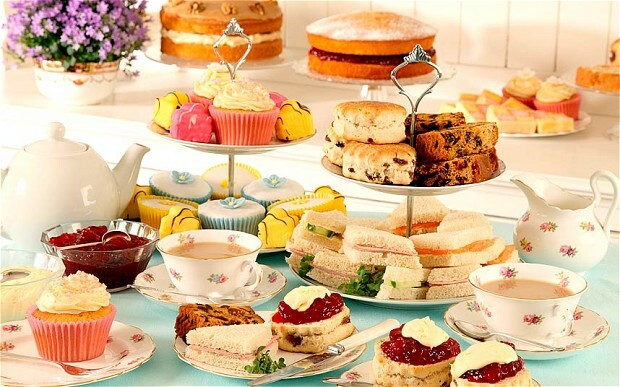 This month, Tizzie welcomes Shirley-Anne McMillan, author of YA novel A Good Hiding, to join her for Afternoon Tea. After a whirlwind post-debut year, it’s a chance for Shirley to put her feet up, and share her insights over a cuppa and some carefully chosen sweet treats, which reflect the mood of the months following life after debut. High Point! Slice of rainbow cake with pink frosting- for Pride and the pink bra. It was a sugary month. Nom nom. 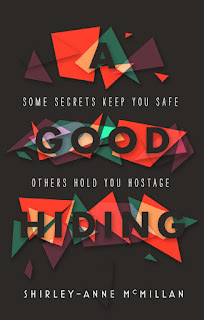 The release of my YA book, A Good Hiding, published by Atom. The launch is at one of my favourite Belfast venues, the Black Box. My sister’s band, Mags and the Beards, plays music by Bob Marley, Morrissey and Jimi Somerville–all songs which meant something to me personally as I was writing A Good Hiding. We have pizza and wine, and my lovely agent, who could not attend, sends a note which is read by my good friend Rozi. The launch was timed to coincide with Belfast Pride, and the Pride committee is wonderfully supportive and helps organise and promote the event. The Mayor of Belfast shows up. My friend Danny sends flowers from Texas. I read an extract and wave a pink bra around. Some friends who I haven’t seen for many years are there. Some people I’d never met come, including a guy who was on holiday from Germany who saw it in the Pride programme and thought it sounded like fun. He buys book for his friends. Loads of people buy books and I sign them. It is basically all the things that you dream your book launch is going to be, apart from Nick Cave showing up. But that’s for future launches I’m sure. I’ve been to the mountain top of publishing: the first book. Now what? The second book of my deal with Atom is due at the end of the month and so it is a frenzy of writing, panicking, emailing friends with extracts (or in one case with the whole novel–thank you Peterson!) to ask for their honest-opinion-as-soon-as-possible-please. My agent is really helpful at this point. Getting to the end of a story is something I find very difficult. When I’m in it, it’s fine. I always think it’s a great story when I’m in it. But when I’m done and looking back, that’s when I can panic. Maybe no.1 was a fluke? Maybe I can’t really write. Maybe this amazing agent and publisher just made a HUGE mistake. My friends and agent reassure me that all is well, and I send my best efforts off. 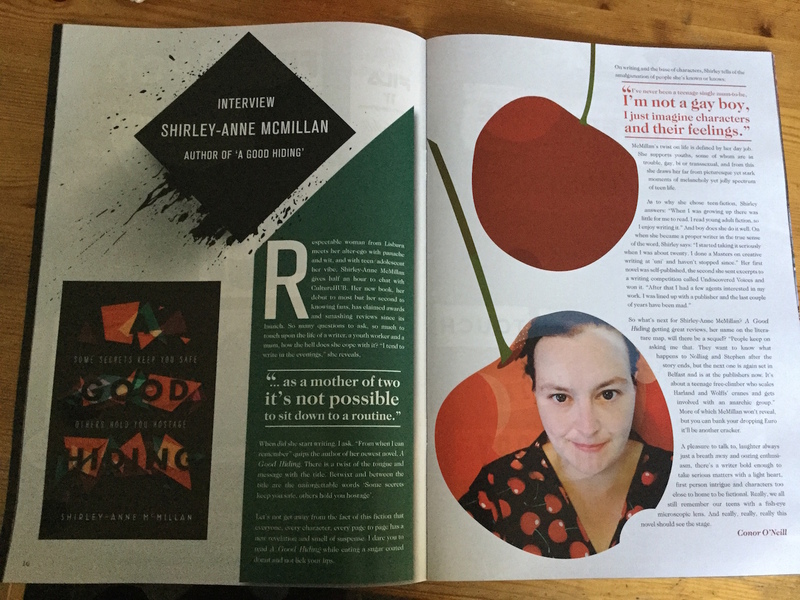 I have some newspaper interviews and reviews, an interview on BBC Radio Ulster’s arts programme and an appearance at the Children’s Books Ireland conference in Dublin. All of those things are exciting and a bit scary. I notice that I find it really hard to write when I’m preparing for things like this because it takes so much energy. I always like to prepare public things as thoroughly as I can, but I need to be aware of how that will impact on my writing time, which requires groundedness and perspective. Those wee mini cucumber sandwiches with no crusts, because I am feeling precious this month. Reviews begin to come in on Amazon and Goodreads. Mostly very good but (low point!) a few ‘meh’s and a couple of stinkers. I realize that I prefer the stinkers to the mehs. I feel like Madonna getting annoyed with Kevin Costner when he says his kid thought her show was ‘neat’ (‘Nobody calls my show NEAT,’ she says). The ones who don’t get it are understandable- not everyone will get it, as not everyone gets me. But the ones who thought it was just average? For some reason this stings a bit more. And I notice that a couple reviews like that somehow get replayed in my mind a LOT more often than the ones who thought it was amazing, or the friend who reckoned I’d somehow mined his childhood for Stephen’s character. So, I write an article for Writing.ie about rejection, and it really helps me deal with those feelings. As my publisher reads the second novel I continue to promote A Good Hiding, taking it to local schools and calling into bookshops to sign the copies they have there. I am so nervous taking my own book up to the counter! They are all absolutely lovely so I’d encourage people to do this–the ‘signed by the author’ sticker does make a bit of difference. After a couple of months of stressing about it I finally start writing a brand new novel. This one isn’t yet sold to anyone. The story idea was such a long time coming and I think it’s because I had so much else going on. Juggling a part-time job with being a full-time mum to a toddler and teenager, finishing a book while promoting another book… it all takes up so much energy. I am totally knackered! But just as I am wondering if my writing life is going to end with the second book, I finally get to grips with an outline for something new. It is a big relief, and its being uncommissioned brings me right back to why I write, who I write for, what the point of it all is. This is really good for me. I am now part way through writing something new which nobody has seen yet, and I am enjoying the secret for now. The months after this bring some workshops, which is something I really love doing. I was a teacher and this is the aspect of teaching that I really miss–connecting with young people, showing them something new, helping to bring their writing on a bit, and learning things myself as I do it. 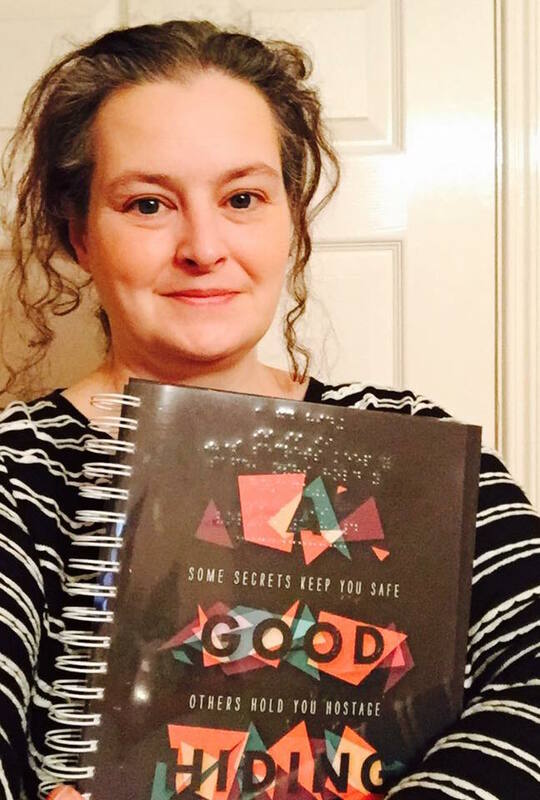 My book gets published in braille, which is the coolest thing ever (you can order it from your library if you’re in Northern Ireland). I read at a couple of festivals, and learn that the talkie-bits in between the readings are as important as the readings themselves (note to self: improve the talkie-bits!) 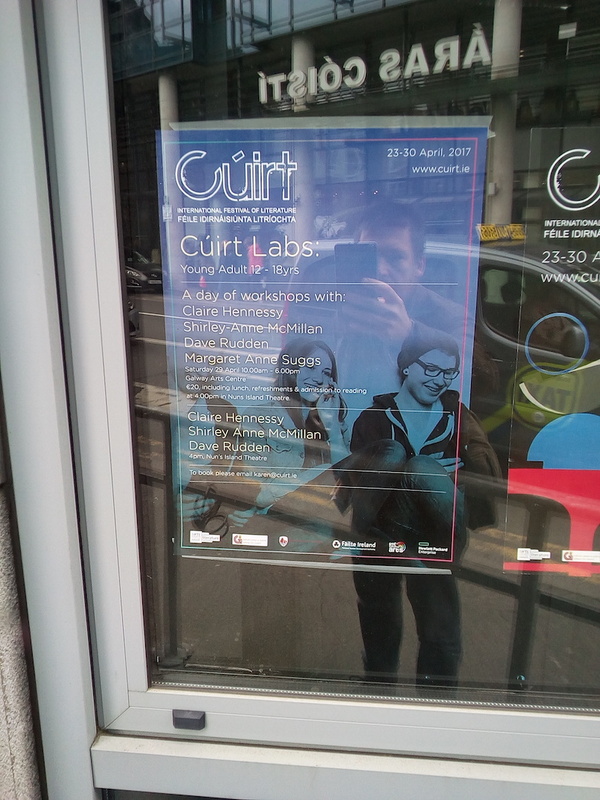 I even get to go to Galway for the first time to take part in the Cúirt festival, which makes me feel like a rock star because it’s the first time I’ve had to travel to a place I’ve never been for a gig. I have loved every minute of the workshops and readings that I have done and so I’m very grateful for those, and for the babysitters who helped me get to them. It’s May as I write this. I have completed one round of edits on The Unknowns, which is due for publication in December. I have at least one reading coming up (Belfast Book Festival in June) and I need to get back to writing my work in progress. I’m very grateful for this year of learning. Getting published might have been your dream forever, but it doesn’t make you any cooler to those people who always thought you were uncool. If you’re uncool, get used to it. It’s part of why you write the way you do. Getting published is not the end of literary rejection or disappointments. Dealing with your ego is difficult, but you have to because if you don’t your writing will be terrible. Keep on keepin’ on…. 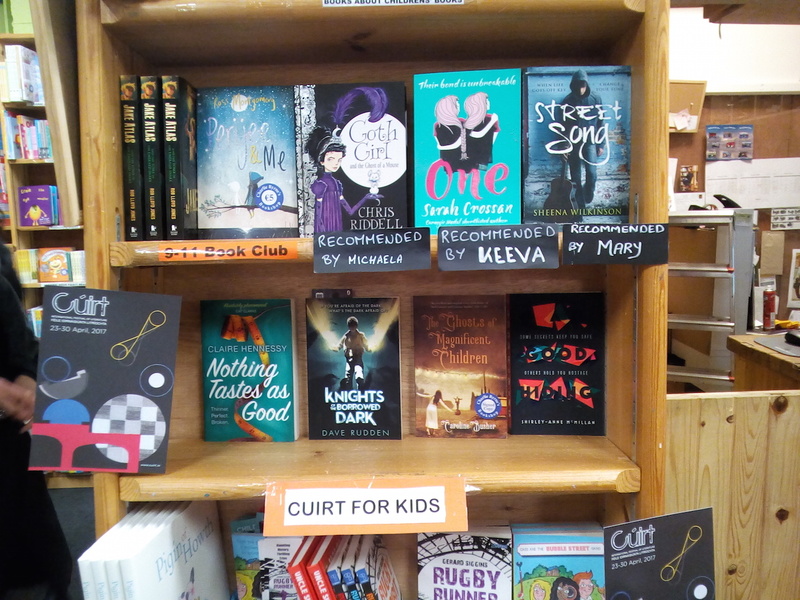 You will never tire of seeing your book on a shelf in a bookshop. When the euphoria of someone actually wanting to publish your book wears off and you start to get sick of people asking how many you’ve sold, this is will remain new and exciting. Hooray! Over-prepare for school visits and give them something to take away for free, like showing them how to make a mini book. The more you have prepared, the more flexible you can be when you meet your group and find out what they’re like. Get yourself an awesome friend or two who really like your writing. You will need them. The first year will be busy–don’t forget to enjoy it! 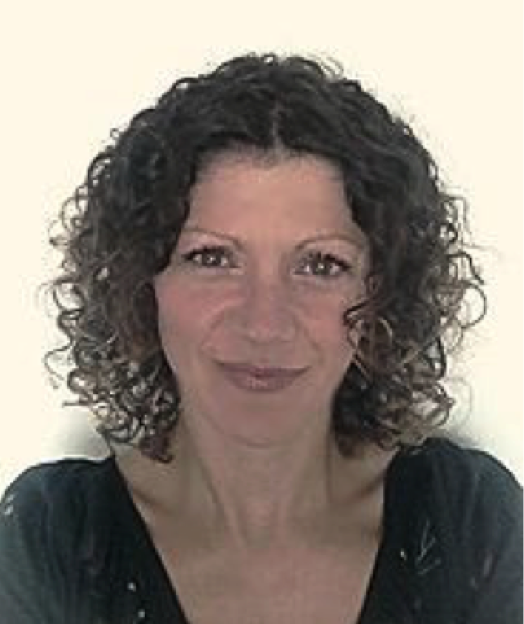 Shirley-Anne McMillan lives in rural County Down, Northern Ireland. She works as a writer and the Alternative Chaplain at Shimna Integrated College where she runs a high school Gay Straight Alliance and a Peace and Integration club. She has a Masters in Creative Writing from Manchester Metropolitan University and in 2013 she won the Society of Children's Book Writers and Illustrators 'Undiscovered Voices' competition with an extract from her novel, A Good Hiding. 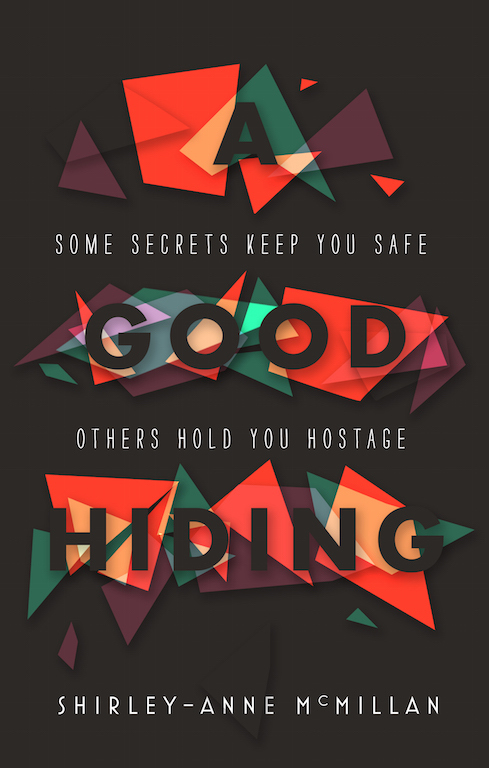 A Good Hiding was published by Atom in 2016. The Irish Independent called it 'A brisk and breezy novel that, despite the heavy subject matter, had me laughing aloud more than once'. Her second novel, The Unknowns, is due to come out in December 2017.